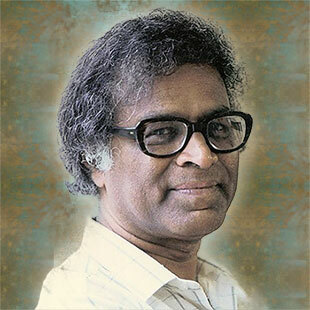 Anthony de Mello (1931 – 1987) was an Indian-born Jesuit priest, spiritual director, and psychotherapist. He was renowned worldwide for his workshops, retreats, and prayer courses rooted in the Christian Gospels and the mystical traditions of East and West. An early pioneer of the interspirituality movement, he demonstrated how different religious traditions have similar spiritual practices. His own "sadhana" was drawn from Ignatian spirituality, yoga, Buddhist insight meditation, Hindu breathing exercises, and psychological insights. Perhaps the most popular of de Mello's many books are his collections of story meditations and "one minute wisdom." Other books present the key themes of his workshops, including the importance of awareness both of one's own behavior and God's loving presence, the need to wake up and come back to your senses, the problems caused by fear and attachment, the way to change yourself and become happy, and the value of silence, meditation, and a variety of other prayer practices.